A good marketing message is the one your prospect has a reason to notice. It’s the one that gets attention at the right time. Millions of email subject lines to compete with, tweets to scan, direct mail you throw in the garbage and banner ads that are mostly ignored. Tough job the marketer has. The competition is tough. Or is it? 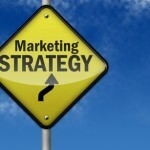 Marketing strategy doesn’t need to be complicated, but it does need to be structured. Quick question: Is your marketing message competing with other firms in your industry? Before you answer, let me ask you another question. If I asked you to scroll through your inbox; which email would spur you to open it? What would be printed on the front of an envelope that would make it end up on your kitchen table as opposed to the shredder? Most entrepreneurs have hundreds of emails each day that call out for attention. Which ones have the marketing message that gets the click through? Stop reading and really think about it. The discovery of this answer is a chance for you the entrepreneur to become the hero of your business. What would get your attention? The solution is deceptively simple. Chet Holmes wrote a wonderful book a few years back called the Ultimate Sales Machine; he made a strong case that only 3% of those who hear your message are ready to buy today. Here is the problem for you the entrepreneur. You need to make sales to pay the bills but 97% of the people who see your marketing message aren’t interested in hearing it today. What do you do? As my former business partner Erik Solomon would say; “the pipeline is building and ready to burst.” Erik’s pipeline was a progression of marketing messages to get attention at each stage of the buying cycle. We knew some people were just getting interested for the first time, some were gathering information and learning more, some were comparing and some were ready to buy. He created simple marketing messages for each stage of prospect motivation. The goal of our pipeline was to help prospects and customers get to the point where they were an educated and motivated buyer. Today the number may be 3% but the purpose of the pipeline was to deliver a marketing message that was an offer to the right people. Our business at that time was stock trading education and the pipeline took on average, ten weeks to complete. So from curiosity to making a decision we had messages to answer questions, motivate and inform potential students of the many benefits of enrolling in one of our courses. The pipeline helped make an informed decision and positioned our education as the best choice. We were their guide, mentor and librarian. We became a trusted advisor, a much different position to be in than hard selling phone jockey. As new leads filled out an opt-in box each day we developed a critical mass of qualified prospects. Your initial pipeline may be short but the point is; once you get started and the first leads go through the cycle you will have a constant stream of people ready to hear your message at the end. Don’t make the mistake of crating marketing messages for the start and the end only. Put some meat on the sandwich. Search acquisition strategy is focusing on what people type to find you. Craft a message for each of those possible journeys. #1: Decide on the Emotion that will spur Action: Problems or Desires? Fixing a tooth ache or wanting whiter teeth. Which would get you to take action faster? Which has more urgency? Map out your pipeline from start to finish and think of the emotions that would stimulate action to the next stage. Smart marketing along these lines usually have “so that” implied in the message. A confused mind makes no decision. Decide on the one concept, belief or action you are trying to motivate or inspire. Too many ideas in one message gets action but it’s not the action you want. It get you deleted or shredded. “Just do it,” has been effective for 30 years. Think about getting attention, not competing with other firms. Strive to be unique with something valuable to say. Think about the different stages of your pipeline. Actually map them out. Say something to get attention for each stage. Purposefully guide your prospect to the next stage.